Fancy Nancy and her best friend Bree are getting ready for their upcoming dance show. They are so excited it is all about mermaids and they play mermaids all the time – they are experts. When another ballerina wins the part of the mermaid Nancy is unhappy, especially as she has been cast as a tree. Is there any possible way for Nancy to give her role some fancy flair. And what happens when their mermaid ballerina injures herself at the last minute? 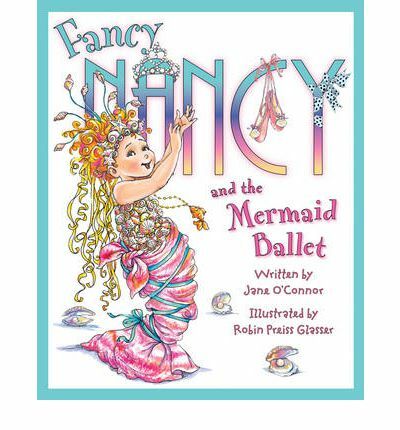 The Fancy Nancy books have a flair all of their own. There is quite a bit of text and some of it is more advanced words and their meanings, which is good as it encourages readers to improve their vocabulary. The illustrations are detailed, busy even, yet somehow very appealing and perfect for the overly dramatic Nancy. A fun read.